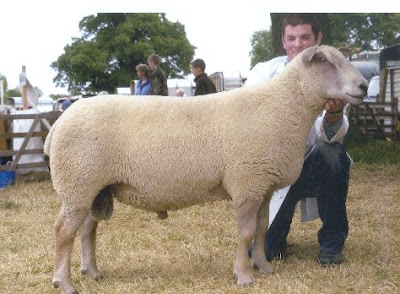 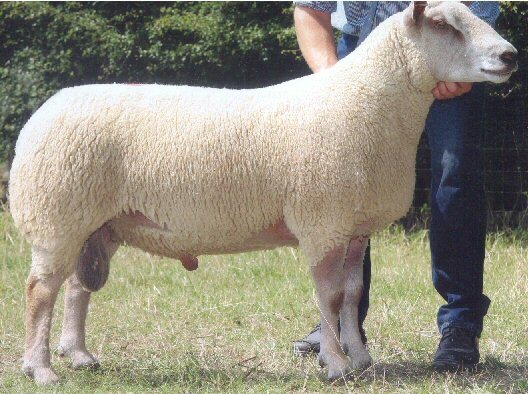 Our 2005 show season saw our shearling ewe DG 4496 won Champion Sheep and Interbreed Champion at Malton Show, and Urlay Nook Endeavour XP 4034 won Champion Charollais Interbreed at Ryedale show and subsequently went on to become National Male Champion of Champions at the inaugural competition held at Westmoorland County Show. 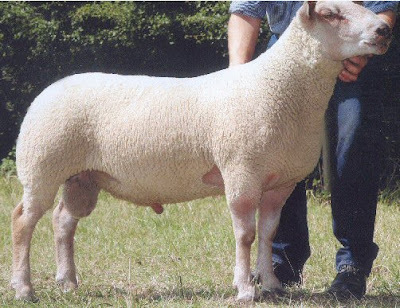 We continued to enjoy success under the Breed Evaluation system achieving 2 Gold Awards, 3 Silvers and 1 Bronze, winning the Newark points trophy again. and Foulrice Escourt DG4636 Gold Award, Son of Logie Durno Cougar, sold to Mike Miller of Molton Abbas, Dorset for 2100gns.